Any event notifications specifically for WWG South V – 2013. WWG South will be held at Potato Point. The site is in the northern end of Eurobodalla National Park – just south (~ 1 km) of Potato Point village.Â See Map. To reach Potato Point turn east off the Princes Highway on the southern side of Bodalla township and follow the road for about 8 km to reach the Potato Point Rural Fire Service hall where we will assemble (on the left with plenty of parking). All youth members (Scouts & Venturers) are required to nominate a responsible leader who is present for the entire weekend and able to supervise members as required. The leader is not required to be from the same Group, but cannot also be responsible for another section at WWG (e.g. Venturer UnitsÂ cannotÂ nominate a Scout Leader supervising Scouts). For Scout troops, one leader is expected for every 2 patrols. A signed Activity Notification Form for each member attending (obtained below). 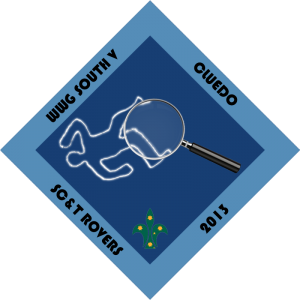 An entry fee of $20.00 per Scout, $20.00 per Venturer, $15.00 per Rover/Leader attending. A catering fee for all those being catered (Set Fee of $25.00). A completed WWG South V Online Registration (one per group, Leader/PL responsibility). A printed receipt of the Online Registration, A1s and Money sent to: SC&T WWG Committee, P/O Box 171, Unanderra, 2526. Late registrations will be considered, but note that a late fee of $5.00 applies after this date. REGISTRATIONS NOW CLOSED FOR WWG SOUTH V! Please also note that catering is available for Venturers/Rovers and Leaders. See theÂ Catering InformationÂ download for more information and pricing (details coming soon). Attendees are asked to review our advice on Ticks available here. Leaders should read theÂ Leader’s InformationÂ form and Scouts (PL’s especially) should read theÂ Scout InformationÂ form. These, and all other required forms can be downloaded from the links below in Adobe Reader formats. Set Fee of $25.00 – Menu available here! The host has been murdered, gather the clues, sort the evidence, and find the guilty, but donâ€™t you dare be wrong.